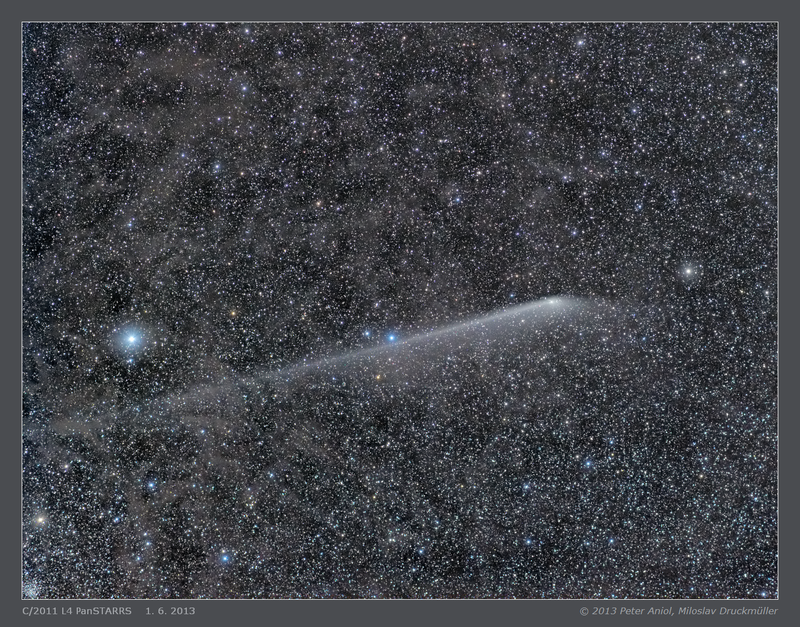 This breathtaking image shows not only comet PanSTARRS but galactic dust clouds near Polaris (the brightest star in the image) as well. 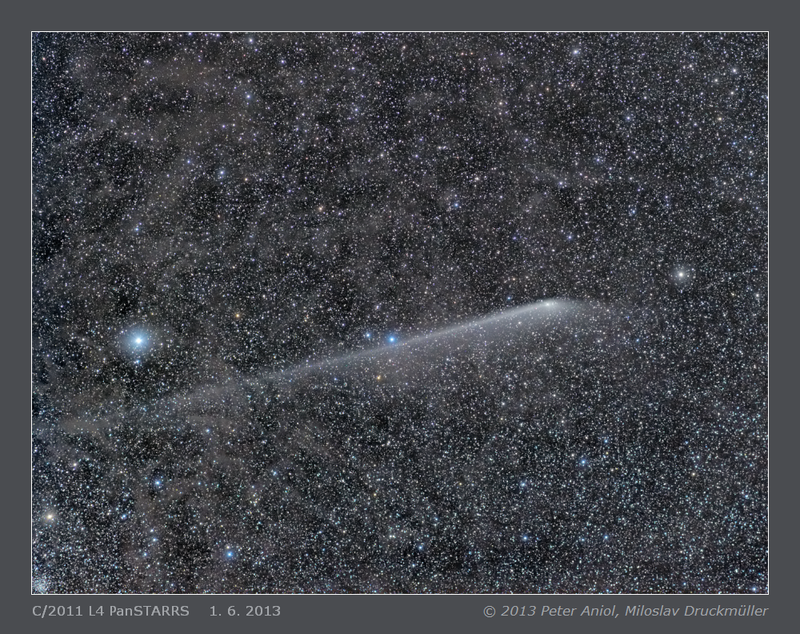 The image is made from data obtained by my friend Peter Aniol in Southern France at his private observatory in Montlaux. It is the first deep sky image made with Nikon camera I have ever processed. I was surprised by the high dynamic range and perfect image quality of Nikon D800E. 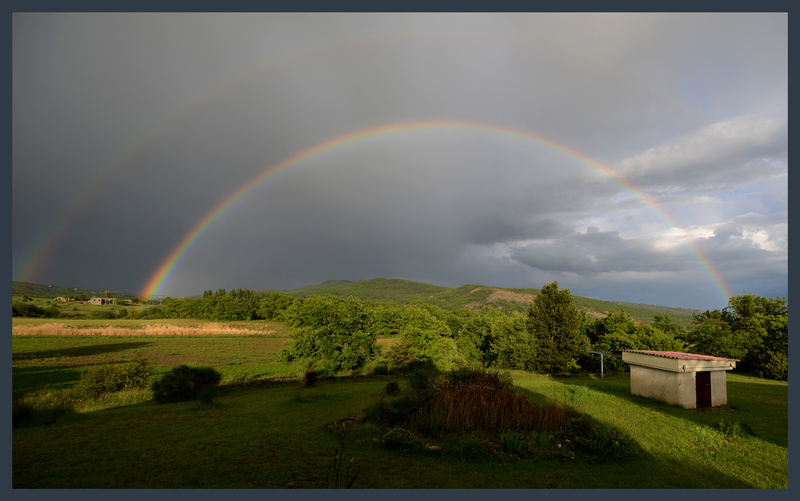 I have a direct comparison with Canon 5D Mark II (images taken at the same place, the same exposure time, optics with same F-number and the same arcsec/pixel resolution). The Nikon D800E is the clear winner because it has lower noise, better dynamic range and much better red sensitivity (both cameras were unmodified).